Impermanence is an undeniable and inescapable fact of human existence. 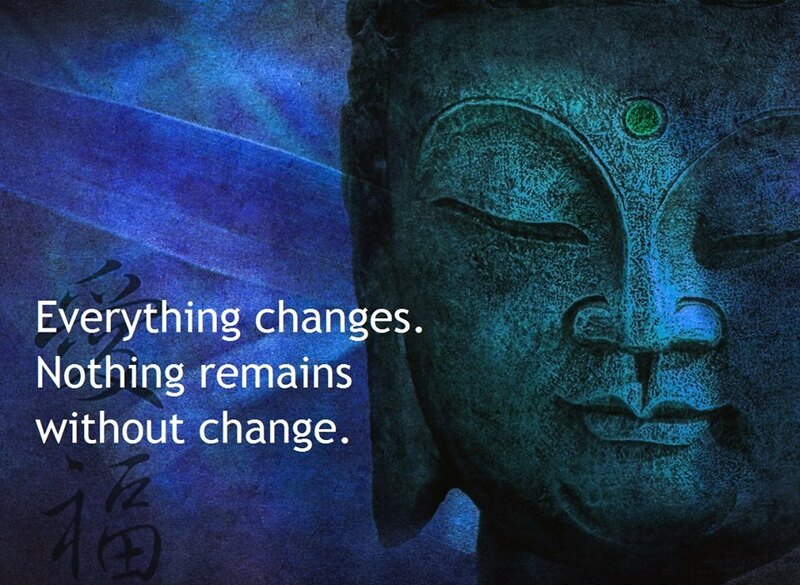 Buddha stated that in this world nothing is fixed and permanent. He further stated that decay is inherent in all component things. Nothing will remain the same and that includes human life, trees, mountains, chairs & tables, thoughts, feelings, perceptions and emotions – absolutely nothing is permanent in this world. Impermanence is more than an idea or a teaching on Buddhist philosophy. It is a practice to help us get in touch with the reality of life. We suffer because of our attachment to impermanent things. So impermanence teaches us to let go of our attachment and helps us begin to reduce our suffering. We mistakenly think impermanence is what makes us suffer. The Buddha gave the example of a dog that was hit by a stone and got angry at the stone. It is not impermanence that makes us suffer. What makes us suffer is wanting things to be permanent when they are not. Buddha taught that life is comparable to a flowing river. It is a series of different moments, joining together to give the impression of one continuous flow. It moves from cause to cause, effect to effect, one state of existence to another, giving an impression of one continuous movement, but in reality it isn’t. The river of yesterday is not the same as the river of today. The river of this moment is not going to be the same as the river of the next moment. Life, like the river, changes continuously from moment to moment. We humans are the same. We also change from moment to moment. It is a mistake to think the person you love is the same person he/she was a moment ago. Your attachment to them would like to believe that, but it simply isn’t the case. The child is not the same as the youth, and the youth is not the same as the old person. Remember, the seed is not the tree, thought it produces the tree. Even from a scientific point of view this is true. We know cell divisions take place in each living being continuously. Old cells in our bodies die and are continuously replaced by new ones. Even the cells and atoms that are in everything in the universe are constantly dying off and being replaced by new ones. It is not only our physical form that is impermanent. Our thoughts, feelings and emotions also change from moment to moment. This morning you may have felt sad, but then you saw your friend and now you are happy. Your emotional state has changed in an instant. We need to learn to appreciate the value of impermanence. It is way of reducing the suffering in our lives. Some people believe that because of impermanence they shouldn’t love another person. Love is fine, attachment is not. When we see a beautiful flower we know it is going to decompose, but knowing this doesn’t prevent us from loving it while it is alive. The same goes for people in our life. We can still love them even though we understand they are impermanent. Understanding that we all must die is a way of seeing just how precious life is. It should encourage us not to have hatred, discrimination or intolerance for others, because, just like us, they are impermanent. I believe that the limited time we have in this body should be spent on trying to be happy, positive and compassionate. 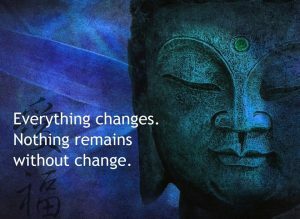 Impermanence is a way to realise that no matter what you may be going through, you will get through it and it will change. You can choose to stay attached to what it is that you lost and continue to suffer, or you can choose to let it go so that you can learn from it and move on. Impermanence teaches us this. So don’t let the fact that everything is impermanent depress you. Buddha stated that the world is afflicted with death and decay, but the wise do not grieve, having realized the nature of the world. Use impermanence as a daily mindfulness practice. If things are not good at the moment, don’t worry, they will change. If things are good, don’t get attached to them, simply enjoy them while they are here. This is the beauty of impermanence.